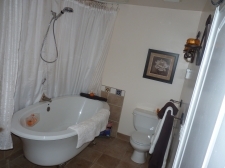 Romantic 2 Room Queen Suite W Spiral Staircase On Acreage. 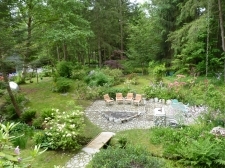 Beautiful treed garden acre on the Alouette River. 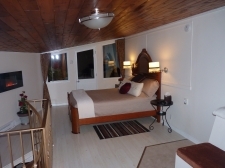 A spacious private suite (sleeps 4 adults) with full Jacuzzi ensuite, full-sun balcony,Juliette balcony and fireplace adjacent to beautiful Antique bed, livingroom with full size sofabed, TV/ DVD, dining area with fridge. 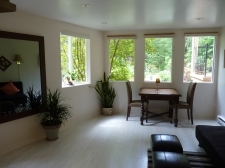 Gardens, patio with dining set & BBQ, garden seating, riverside bench and grounds to enjoy. Full size fresh gourmet breakfasts catered to your taste. Children & families most welcome. Friendly hosts Myra & her husband Al.